Despina Residency Programme is designed for artists and curators wishing to immerse themselves in their work and/or research. We provide them with the space to explore practices, concepts, new ideas and materials, and to develop a project while receiving feedback and support. The selected artists/curators have the chance to live and work in Rio de Janeiro and to participate in a range of activities such as talks, meetings, studio visits and exhibition tours. Participants are also encouraged to propose talks and workshops, and to learn about the socio-cultural and political scenario in Brazil. The support, networks and creative environment offered by the programme encourages professional/artistic development and international contacts. Despina Residency Programme has hosted so far approximately 100 artists from more than 15 countries. Since 2013, Despina has built a respectful reputation in Brazil and abroad in the field of artist residency. Focusing on practices, projects and research development, a tailor-made programme is designed to meet the needs of each artist/curator. We work individually to support and create a network of contacts, references and affection. Our team of collaborators includes leading curators of the contemporary Latin American scene such as Pablo Leòn de la Barra, Raphael Fonseca, Bernardo José de Souza, Michelle Sommer, Alexandre Sá, Daniela Mattos, among others. 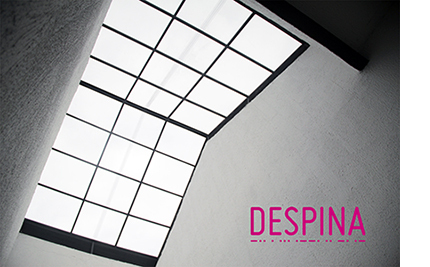 Despina has been working in partnership and collaboration with several national and international organizations, among them, the Institute of Arts of the University of the State of Rio de Janeiro (UERJ), Museum of Tomorrow, Prince Claus Fund, Arts Council of Montreal and the British Council. For open calls and further information, click here.